So…one asks, What does one wear to a “Ball”? I went to my trusty source, UrbanDictionary.com…hoping for a funny, snappy definition, and this is what I got: A garment of clothing worn usually by women as a formal wear. That’s it? I was hoping for something a tad more snarky. 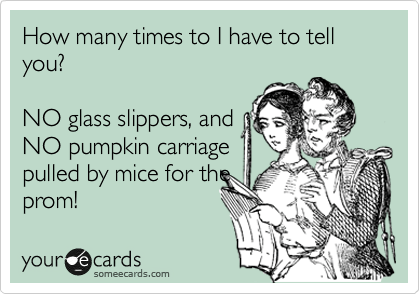 Of course, I’m sure there’s a SomeEcard for that! 🙂 Plus, many of the “ball gowns” look like Prom Dresses anyway…and with what girls wear now for Proms, and the price they spend on dresses, a prom dress can also be a ball gown. And, don’t hate her…but my friend Cathy could actually wear Most of her daughter’s friend’s prom dresses…and she’ll rock them, actually! 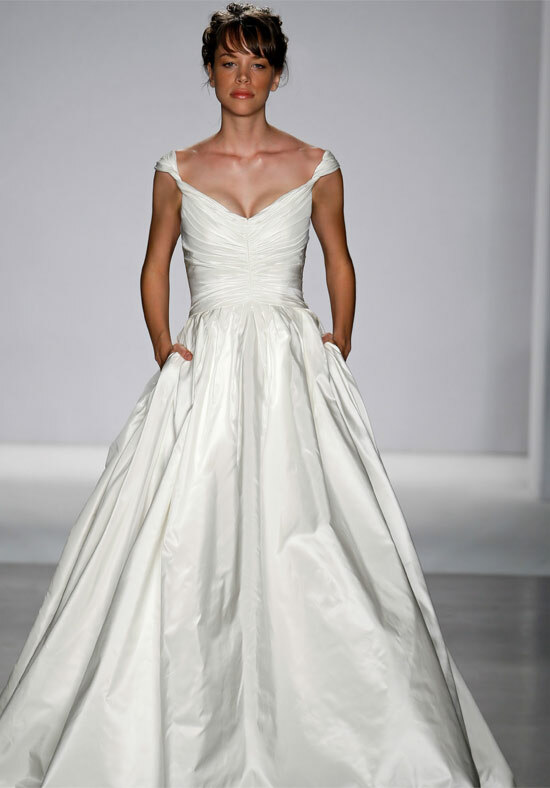 When I googled Ball Gowns (not one word, btw)…I have to say, many looked like Wedding Gowns. So I guess in this new era, you can get married, wear your lovely white gown, then wear it Again for a Ball. I know people talk about wearing bridesmaid dresses several times (and who really does? )…but truly, based on what I’ve seen, I dare say you can certainly get away with wearing your wedding gown for a ball. So Cathy, a ball gown is a lovely gown (long) with either a full or a straight skirt. It can be any color…black, red, white, pink or lilac…or any other color of the rainbow…or not even on the rainbow. 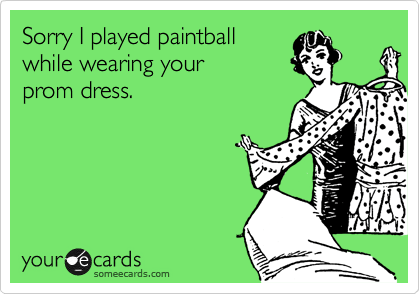 You can wear a ball gown to your own wedding, to your prom, or to a party requesting “ball attire”. 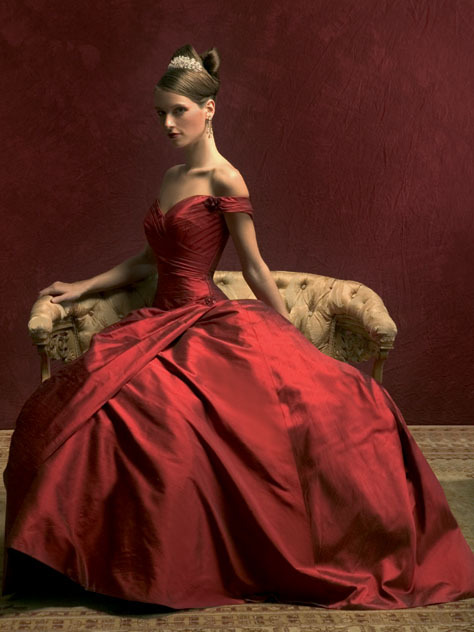 A ball gown is worn for ballroom dancing and only the most formal social occasions according to rules of etiquette. It is traditionally a full-skirted gown reaching at least to the ankles, made of luxurious fabric, delicately and exotically trimmed. Most versions are cut off the shoulder with decollete necklines. (Wikipedia). Like the navy and red ball gowns. Are they designer? Where can I find these? Haven’t been invited to a ball lately, but I am know to always have a ball wherever I show up! Ahhhh, must be interesting going to events like that. Fun pics. Carol, neither have I! Of course, I need to check back in with Cathy to get her take on the Ball-themed wedding! Glad to learn the tiara is optional . . . after oh-so-many hours of wearing, one gets a headache!!! 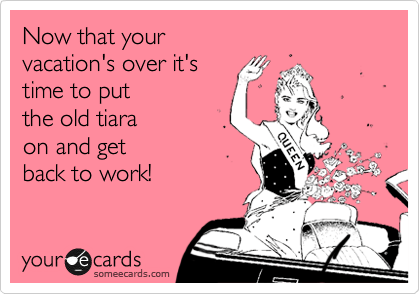 I feel your pain LAP…wearing the Tiara can be quite taxing at times! Who knew……it is acceptable to wear your wedding gown to a ball. Now, what did I do with that old dress……….hmmmmmmmm, I can’t remember. Now the tiara, that I can put my hands on because like pearls, you can wear that to the grocery! Lisa…True. Very True! Of course, eyebrows raise when I’m perusing the brussel sprouts while sporting the tiara, but I’m sure they are wondering why anyone would eat brussel sprouts! Alright, this might be a silly question, but is it really that unusual for people to attend balls? I am asking, because I go to several formal balls per year — usually about half a dozen. No, I am not joking. This past Friday, I attended the Russian New Year’s Ball at the Mayflower Hotel, and in December a Christmas Ball. In February, the Ball of the Committee for Western Civilisation is coming up, followed by a Viennese Ball at the National Museum for Women in the Arts, and in April, I’ll be in London for the Royal Caledonian Ball at Grosvenor House. And yes, I really wear ball gowns with several petticoats, long gloves and even a tiara. I even have pictures :-). So, does that make me strange or unusual? I love dancing, and I love dressing up. Where are the black (?) and red ball gowns from? They are quite nice. Priscilla of Boston is the make, and “Lindsey” is the model. 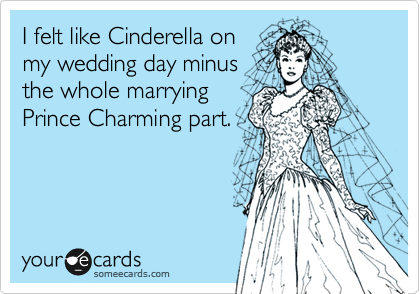 Have fun playing Cinderella, and hoping you find your Prince Charming…if you haven’t found him already. Thank you! I was able to find a beautiful ball gown with the help of Yolanda (www.yolandas.com). She has helped women in the Boston area find formal and bridal gowns for years. Thank goodness I sought her advice or else I would have gone to the ball in rags. I only had a week or two to find it and have it altered before my trip, so I really needed someone to go shopping with me. I really appreciate your help as well! I got engaged on Christmas Eve and now that I have more time, I’m going to look into some of your suggestions for my wedding gown. Time to play Cinderella again:-) This time there might have to be a tiara! I searched the Demetrios site, and it is no longer listed. If memory serves, it was also quite expensive (3,000 quid). Depending on how much you time you have, you could contact a dressmaker or seamstress and enquire if she can replicate the design for you. It won’t be identical, but very close. Besides, trains are a nuisance for dancing. The fabric is a dark red medium-weight silk taffeta, although a silk shantung or even a smoother dupioni silk will work very well, too.